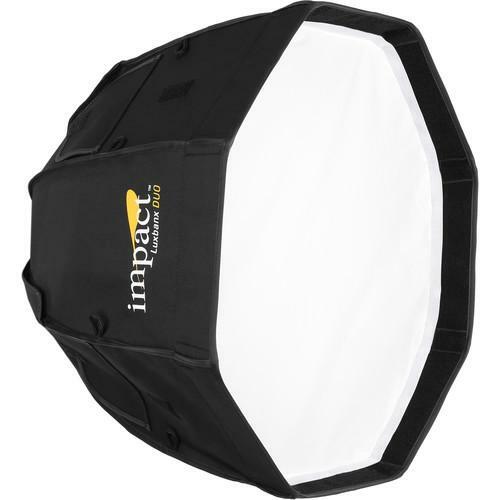 We recommend checking out our discussion threads on the Impact Luxbanx Duo Large Octagonal Softbox (84") LB-OD-L, which address similar problems with connecting and setting up Softboxes Impact. 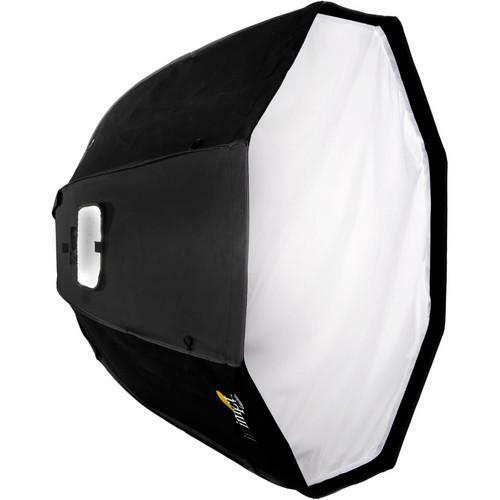 The user manual for the Impact Luxbanx Duo Large Octagonal Softbox (84") LB-OD-L provides necessary instructions for the proper use of the product Lighting & Studio - Light Modifiers - Softboxes. The Impact Luxbanx Duo Large Octagonal Softbox is a versatile 84" diameter light shaping tool with a textured silver interior for high output, removable front diffuser and a removable interior baffle. It's compatible with strobe lights, fluorescent or LED light sources. It's also compatible with hot lights up to 2,000W. When using it with hot lights remove the interior baffle. The Duo Octa's shape renders a signature quality of soft wrap-around light due to its large surface area and creates round, natural catchlights in your subject's eyes, making it ideal for portraiture and fashion. Separate purchase of a speed ring is required for use and Impact makes models to fit most popular brands. Box Dimensions (LxWxH) 49.5 x 10.8 x 1.0"
The user manual for the Impact Luxbanx Duo Large Octagonal Softbox (84") LB-OD-L can be downloaded in .pdf format if it did not come with your new softboxes, although the seller is required to supply one. It is also quite common that customers throw out the user manual with the box, or put the CD away somewhere and then can’t find it. That’s why we and other Impact users keep a unique electronic library for Impact softboxess, where you can use our link to download the user manual for the Impact Luxbanx Duo Large Octagonal Softbox (84") LB-OD-L. 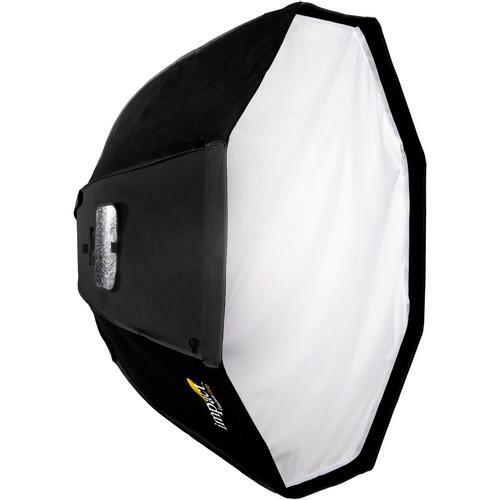 The user manual lists all of the functions of the Impact Luxbanx Duo Large Octagonal Softbox (84") LB-OD-L, all the basic and advanced features and tells you how to use the softboxes. The manual also provides troubleshooting for common problems. Even greater detail is provided by the service manual, which is not typically shipped with the product, but which can often be downloaded from Impact service. If you want to help expand our database, you can upload a link to this website to download a user manual or service manual, ideally in .pdf format. These pages are created by you – users of the Impact Luxbanx Duo Large Octagonal Softbox (84") LB-OD-L. User manuals are also available on the Impact website under Lighting & Studio - Light Modifiers - Softboxes.